For the purpose of this test "light finger pressure" is defined as 8 1/2 to 8 3/4 pounds. 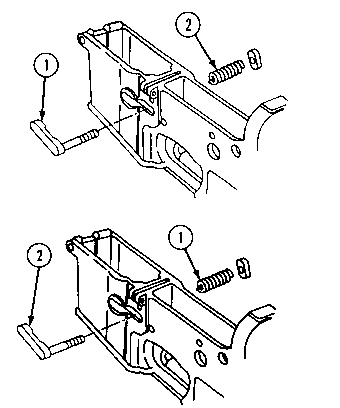 (a) Check headspace by pressing bolt carrier assembly (9) and charging handle (8) forward using light finger pressure. 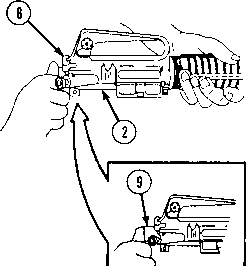 (b) Bolt carrier assembly (9) must protrude from rear of receiver (2) for proper headspace. If bolt carrier assembly is flush with or indented to rear surface, this indicates excessive headspace.